When you want the gift that you are giving to be as special as the occasion, you should consider a different presentation that will keep on giving throughout the year. Including wine, chocolates, gourmet mustards, or cheeses can be the highlight of any party if you give some extra thought and plan the gift with care. Let’s take a look at some of the wine and food gifts that you can present to your family and friends to mark the milestone in their life. If you know their favourite wine, you can include a bottle in a gift basket along with some chocolates and teas to appeal to their tastebuds. When your friends enjoy trying different types of wines, you can get them a wine subscription which delivers a new bottle of their choice each month or bi-monthly to their home. This is a great way to provide a gift which they will receive over and over with each delivery; your friends can also learn a great deal more about wines and if they are wine lovers, this will be the ideal gift. To observe milestones such as anniversaries or retirements, you may want to have some special wine glasses etched with their name, date, and the event. This will be a gift that they can cherish for years to come as they sip their evening wine by the fireplace and recall special moments they have enjoyed over the years. When the person on your list enjoys cooking for friends and family, you may want to give them cooking classes where they can build on the skills that they already have. They will meet others who have a passion for cooking and can perhaps share and receive some secret recipes that they can use for their next dinner party. You should allow them to schedule their class time that best accommodates their daily routines; you can give a gift certificate with all of the contact information and let them take it from that point. Everyone loves luxury food gifts that appeal to their tastebuds and delight their palates so consider making a basket of specialty items that your friends will enjoy. You can include fabulous French mustards which are excellent cooking ingredients, White wines, and black truffles which will all delight the recipient. You’ll want to mix a collection of gourmet items, some lovely finger foods, all presented in a beautiful basket accompanied with a touching card. When you put some careful thought and shopping into the food gift that you give, your friends will know that you truly care and that this is a special gift. 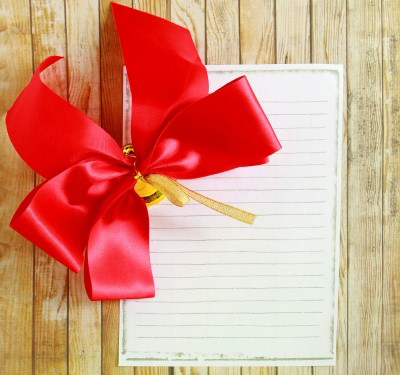 It’s becomes more of a personal reflection of your relationship with the recipient and thus much more meaningful than many other gifts that they will receive. Consider using your creativity for the next celebration to make a lovely food gift that keeps on giving after the event is over. This entry was posted in Gift Ideas, Occasion and tagged gift ideas for special occassions on October 23, 2014 by Yami.